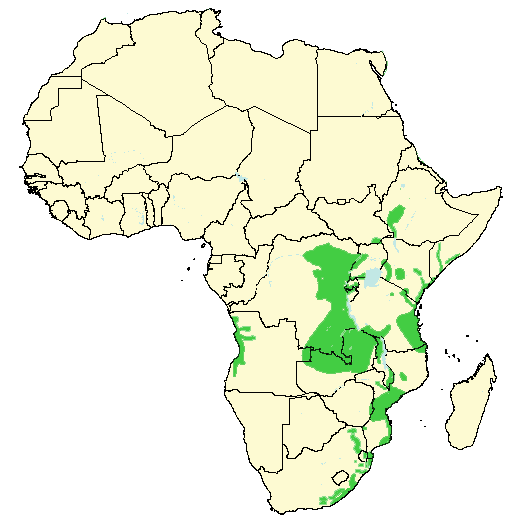 The blue monkey (Cercopithecus mitis), also known as Samango monkey, Syke’s monkey, diademed monkey, and golden monkey, depending on subspecies and area, is a widespread species of guenon in sub-Saharan Africa. 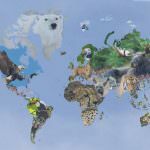 Some subspecies are sometimes regarded as separate species, such as the Samango/Syke’s monkey and the golden monkey, but I have chosen to go by the official information on the IUCN (International Union for Conservation of Nature) website where they are all subspecies of the blue monkey. 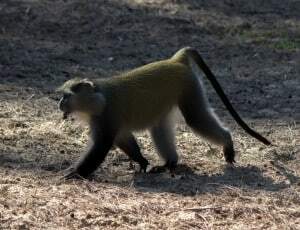 Color varies between geographical locations and subspecies, but blue monkeys typically have an olive to grey coat with darker arms and legs. Exposed skin, such as feet and face, is dark. 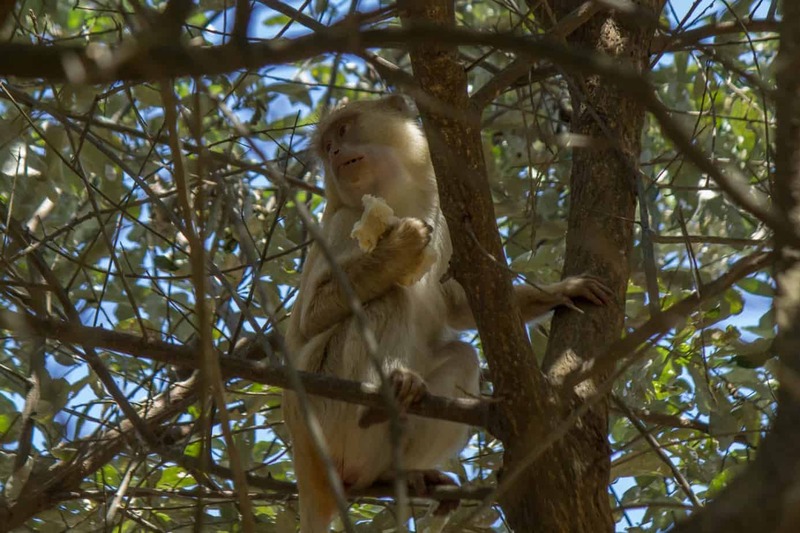 A light to yellowish patch above the eyes has given it the common name diademed monkey in some areas. 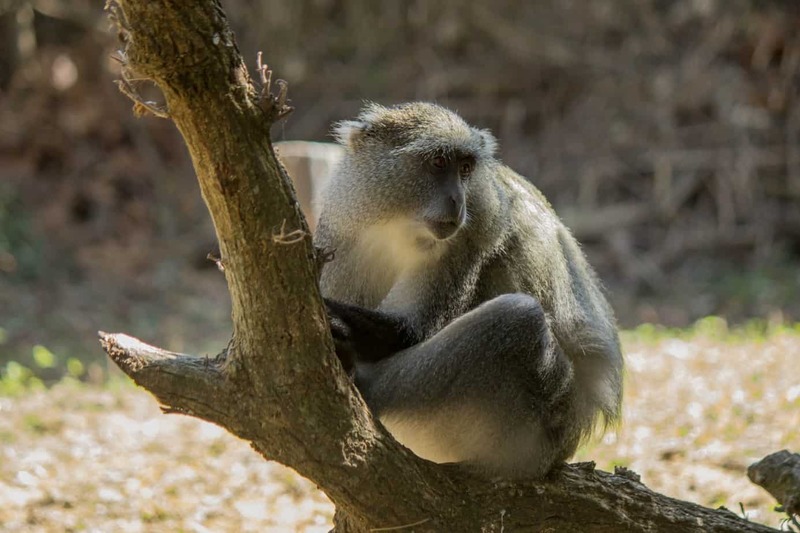 Blue monkeys are actually not very blue, but the general appearance can often come across as bluish, especially on the darker areas such as face, arms and legs. They reach lengths of 50-65 cm (19-26 in), excluding the tail which can reach nearly the same length as the body. Males are larger than females and can weigh up to 9 kg (20 lb), whereas females weigh 4-5 kg (9-11 lb). 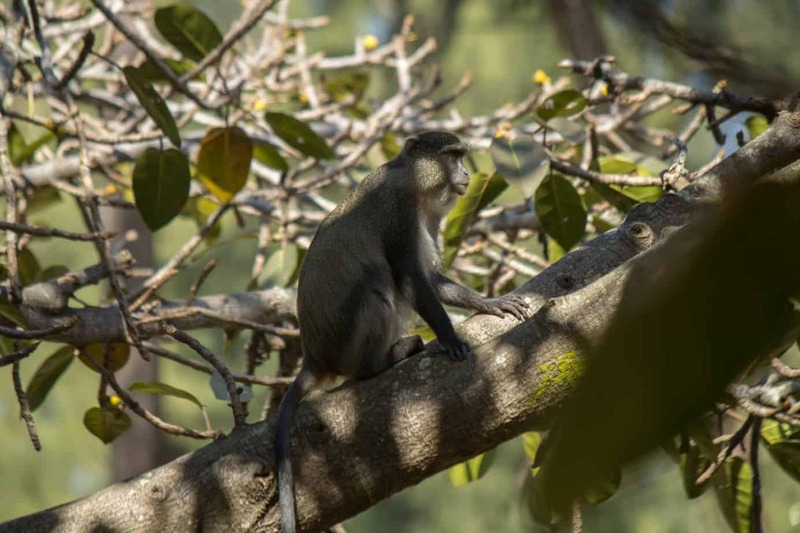 Blue monkeys prefer various forms of evergreen forests and montane forests with adequate shade and water supply. 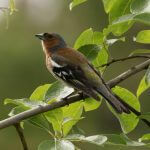 They spend most of their time in trees, as they forage in the canopy and seldom go down to the ground. Their main diet consists of fruits, flowers and leaves, but they will also feed on insects and other invertebrates. Blue monkeys are generally shy, but have, in certain areas, adapted to live in close proximity to humans. 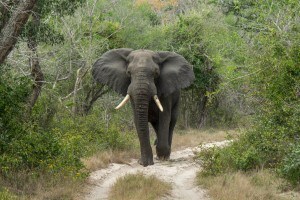 In areas such as Sodwana Bay and Cape Vidal in South Africa they will readily steal unattended food from tourists. In these areas they are also commonly seen on the ground. 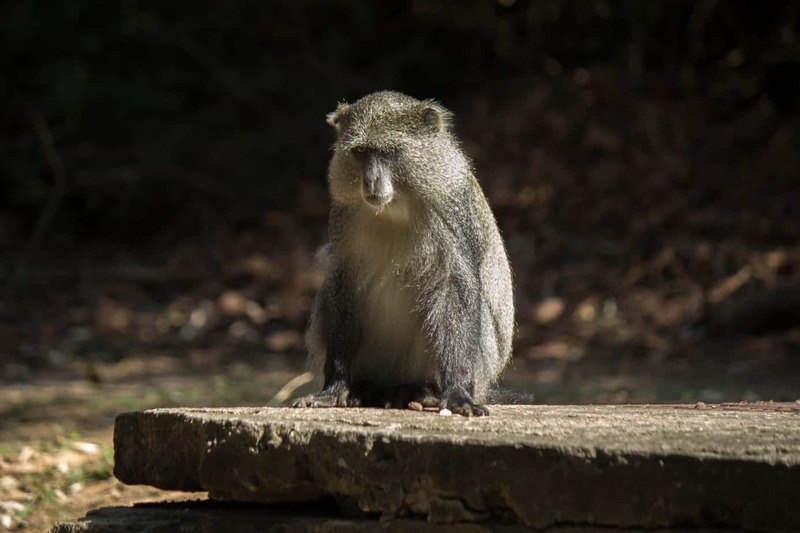 A study done in South Africa showed that blue monkeys would only go down to the forest floor and eat food when the researchers were close by. 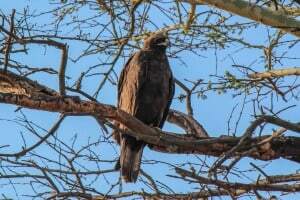 They understand that the presence of researchers poses no threat to them and that other predators, such as leopard and eagle, will stay away as long as the researchers are present. 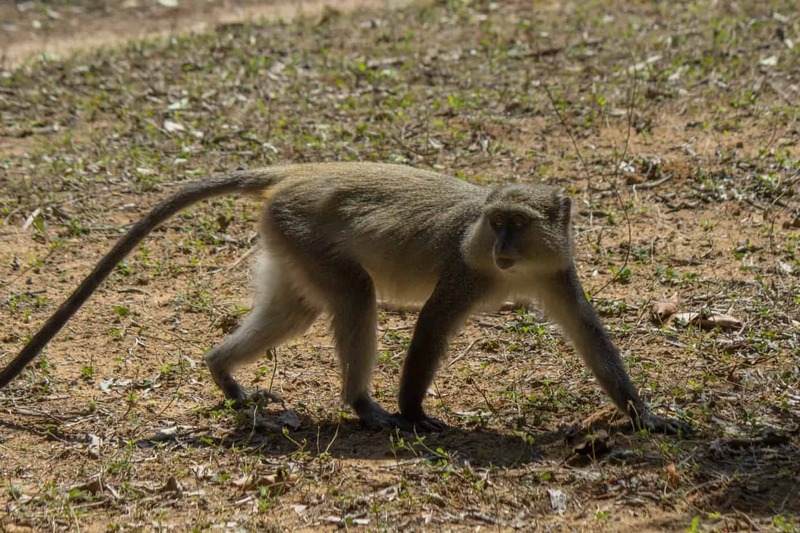 Blue monkeys live in social groups of 10-40 individuals. One group normally consists of one dominant male and his harem of females with young. 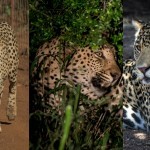 Dominant males stay with one group for up to three and a half years. Young males will stay within the group until they are six years old. 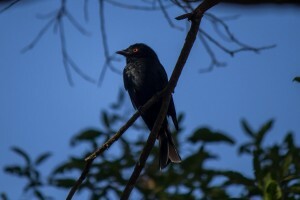 Upon leaving the group males often join small bachelor groups of 2-3 individuals before attempting takeovers of other female groups. Females within a group live in a dominance hierarchy, but they are seldom aggressive towards one another. Competition is generally avoided as females tend to forage away from other females. The internal ranking system is seldom visible until there is more competition within the group, such as during periods with fewer available resources. Blue monkeys are seasonal breeders and females generally give birth in the beginning of the warmer wet season. The male will mate with all of his adult females, but the females are the ones that initiate the mating. A single infant is born after a gestation period of five months. 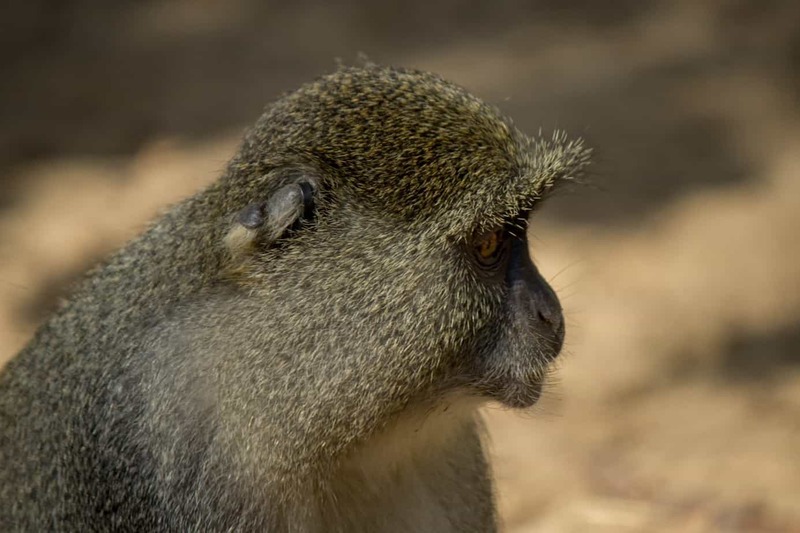 As with vervet monkeys, blue monkeys have a system of alloparenting, where young females take care of infants belonging to other females. It is common for one infant to have multiple caretakers, and it is believed this is done to make the infant more familiar with socializing within the group. Both sexes reach sexual maturity at about three years of age, and females often have their first infant at the age of seven. Blue monkeys can live to be thirty years old. There are seventeen recognised subspecies of blue monkey. 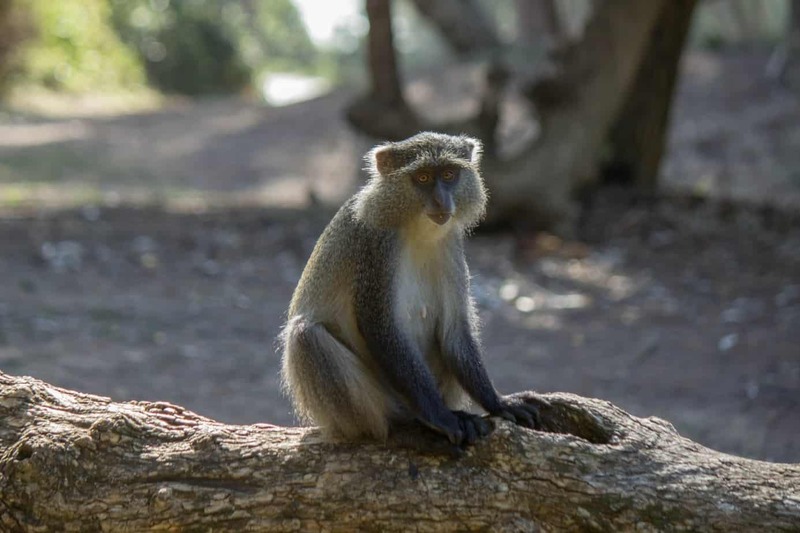 In South Africa there are only two subspecies, Cercopithecus mitis erythrarchus and Cercopithecus mitis labiatus, and both are commonly referred to as Samango monkey. Some list the Samango monkey as part of a separate species, Cercopithecus albogularis, and refer to this nominate species as the Syke’s monkey. This has not yet been officially recognized by the IUCN, which considers them all subspecies of blue monkey. 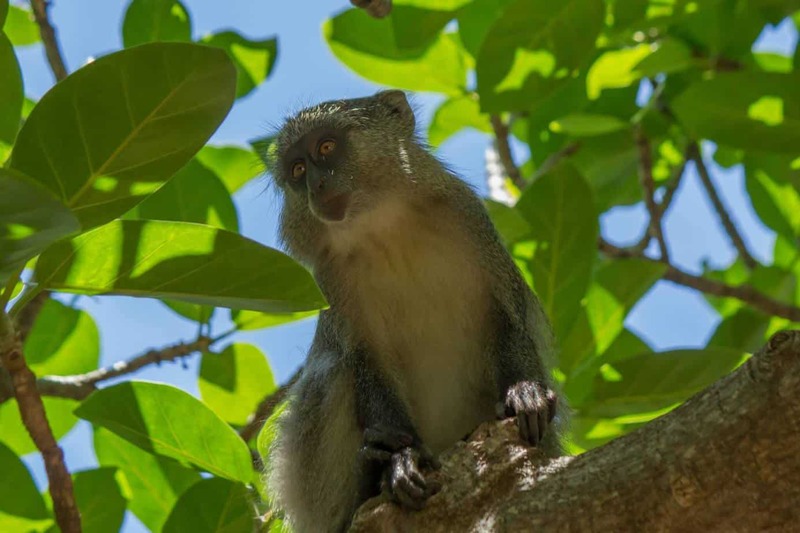 The subspecies found furthest north in South Africa, Cercopithecus mitis erythrarchus, is also known as Stairs’s white-collared monkey and is listed as least concern by IUCN. 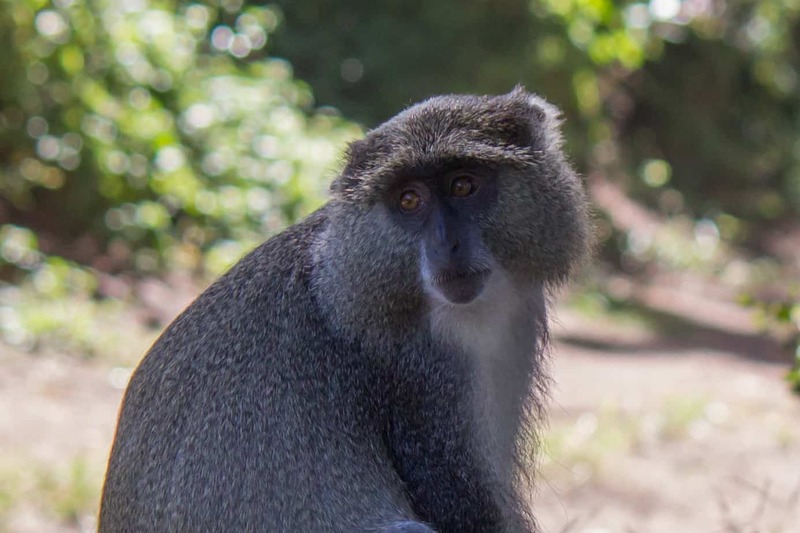 The second South African subspecies, Cercopithecus mitis labiatus, found further south on the East Coast, is sometimes referred to as white-lipped guenon, but more often as Samango monkey, and it is listed as vulnerable on the IUCN Red List. 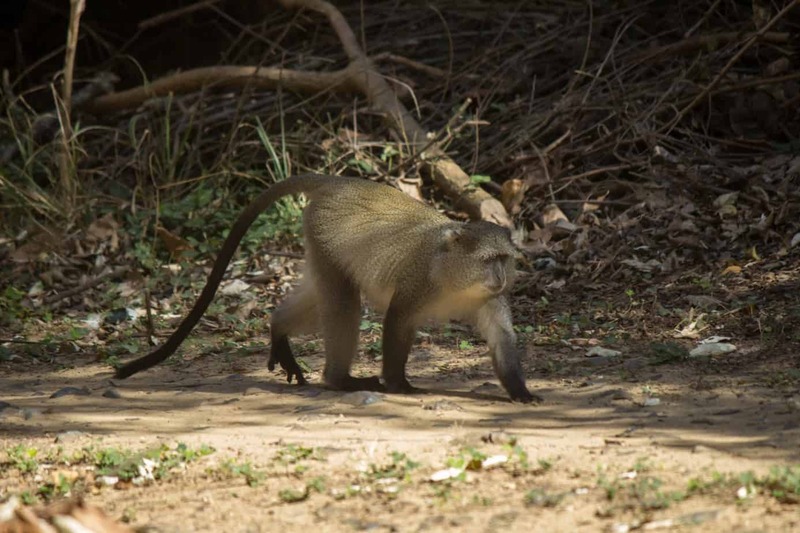 Blue monkey as one species is listed as least concern. 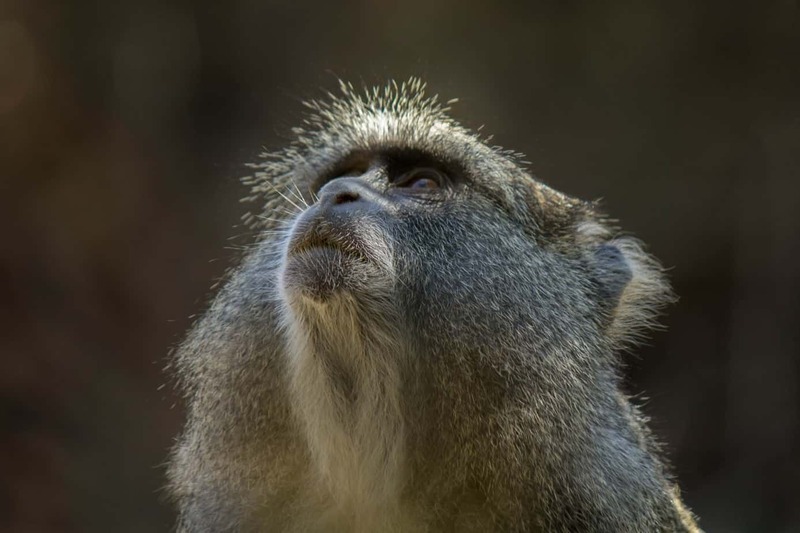 Of all the seventeen subspecies, including the two South African ones, three are listed as vulnerable, one as near threatened, one, the golden monkey (C. m. kandti), as endangered, and two as critically endangered. 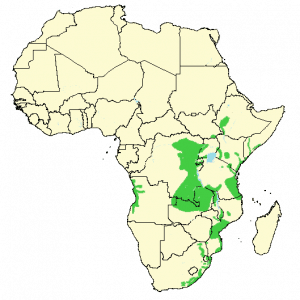 Two subspecies are data deficient, and the rest are least concern.